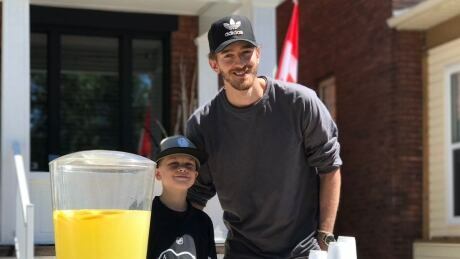 'He was really proud of me,' said Gavin Currie, of Thunder Bay, Ont., who was raising money for charity. Is Thunder Bay, Ont. 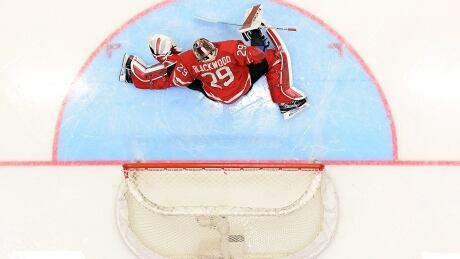 becoming Canada’s goalie factory? There's no secret formula behind the talented goaltenders coming out of Thunder Bay, Ont., lately — but the man who trains them says the city's dedication to the hard work of hockey helps breed the perfect player between the pipes. Posted in News/Canada/Thunder Bay | Comments Off on Is Thunder Bay, Ont. becoming Canada’s goalie factory? Olympian Curt Harnett says he was honoured to bring the Pan Am torch relay to his hometown of Thunder Bay, Ont. on Sunday as the flame begins its 41-day journey back to Toronto for the launch of the Pan Am Games on July 10. Eric Radford says he hopes to use position as one of Canada's top athletes to help guide or inspire other young gay people. 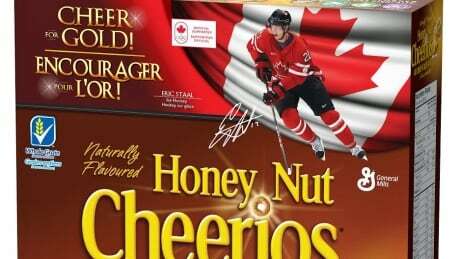 General Mills has produced cereal boxes with a picture of Eric Staal wearing a Canadian Olympic uniform, despite the fact the Thunder Bay hockey player didn't make the cut when the men's team was announced this week. You are currently browsing the archives for the News/Canada/Thunder Bay category.